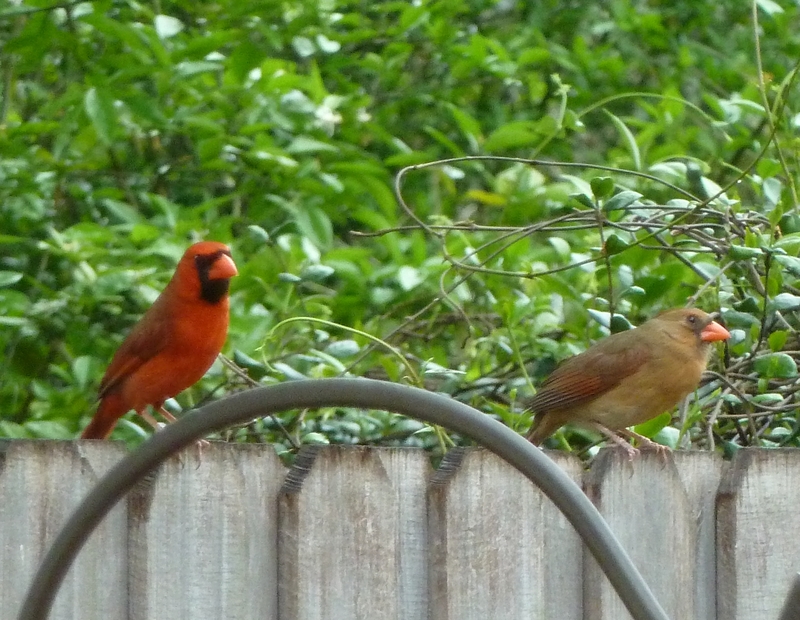 I’ve been watching them for weeks, so it probably won’t shock you to find out that on this rainy day I have been keeping up with the cardinals. I have always been fascinated by them and love their red caps and capes. There are four in particular that have caught my attention. 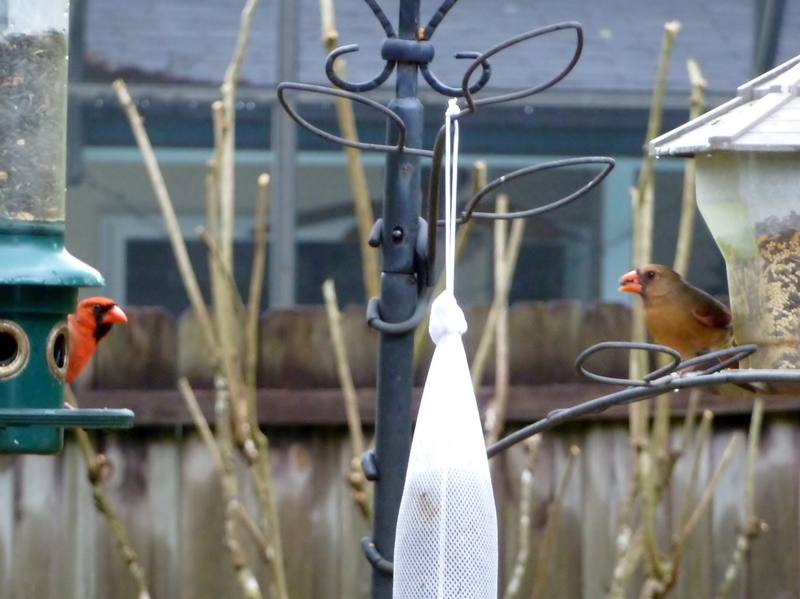 I’ve watched them parade around, eat and drink, and even visit my bird bath. I think they’re a family – mom, dad and twin boys. On a side note, I hear they are gathering in Rome to select a new pope today. 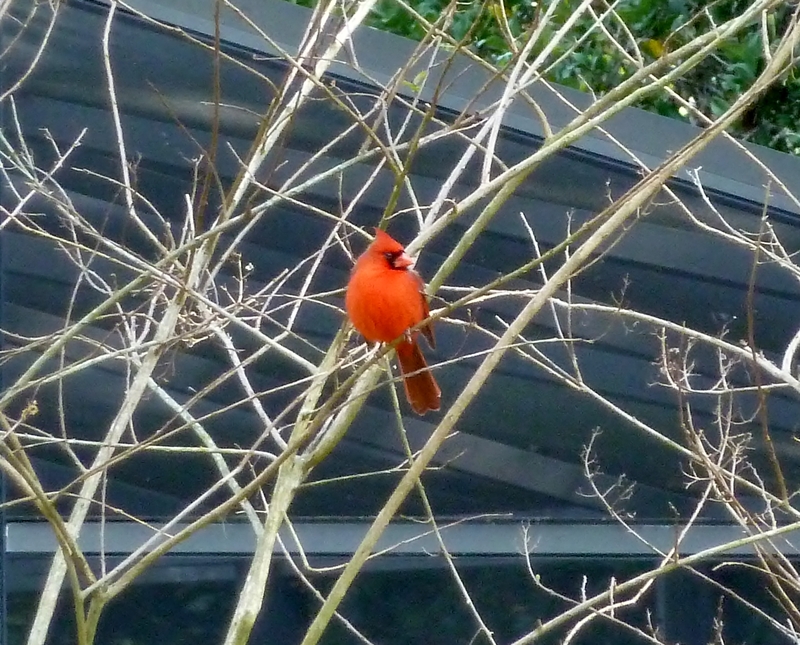 I hope you enjoy these pictures from my backyard as we await the selection of a new pope.